Some people are natural-born orators, while others feel more comfortable listening. Regardless of where you fall on the spectrum, it’s likely that you’ve have to give a presentation or two during your professional career. At the very least, you’ll probably have to speak in front of a group at some point. 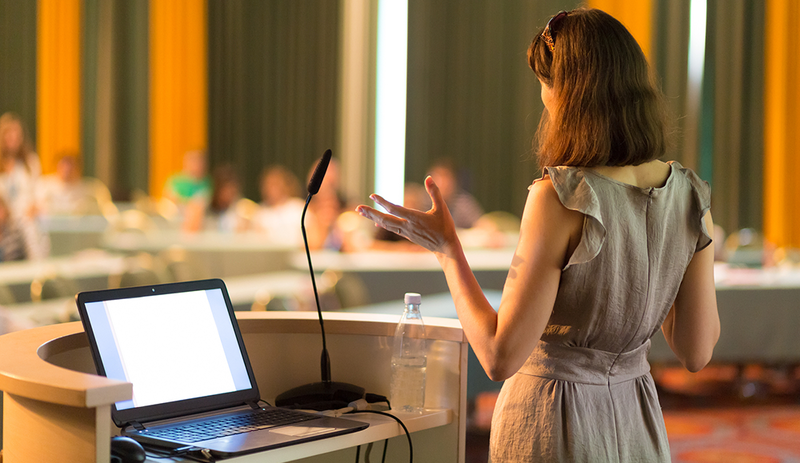 The speaker will often start by sharing a personal story that puts the topic in a context with which most, if not all, members of the audience can identify. The more your audience sees themselves in your presentation, the more engaged they will be. Have you ever tried speaking to a large group? With so many people, it can be hard to focus on individuals. As a result, you may end up speaking in a general direction instead. An effective presenter, however, will speak directly to the people in the crowd, making eye contact as they go. You don’t need to spend more than a moment on any one person. You’ll feel more connected to your content and audience if you’re actually talking to someone. This is the best way to draw your audience in and turn them into active participants. Even if you’re asking a rhetorical question, listeners are still actively engaging in the discussion as they think it over. Whenever possible, use case studies or specific stories to exemplify your point. After a presentation has ended, audience members often have an easier time recalling specific examples and stories. If you’re serious about improving your public speaking skills, watch a lot of speeches. Learning by observation is valuable and effective. The more talks you watch, the more you’ll naturally start to incorporate the rhythms and styles of successful speakers into your own presentations.